If China is a market of interest to you, or you already trade in China but have not yet sought registered trade mark protection there, then it is advisable to do so sooner rather than later for the following reasons. Recent cases involving New Balance and Apple have emphasised that China’s trade mark system is based on a ‘first to file’ rather than a ‘first to use’ principle. Third parties often take advantage of the growing reputation of international brands by registering the corresponding trade marks in China, and Australasian brands are not immune. While the 2014 law reforms recognise to a greater degree the existence of famous trade marks, brand owners with low levels of sales in China may encounter difficulties retrieving registered trademarks from third parties. From a practical perspective, some of our clients have had to pay an inflated amount to retrieve their own trade marks, or rebrand in the Chinese market. It is important to consider how your English word trade marks are read in Chinese characters. It is easier for the Chinese public to identify and recognise a brand in Chinese characters, making the purchasing experience a memorable one. There are multiple ways to translate an English word into Chinese characters, for example by translation or transliteration, or a combination of both. If you do not control this process and come up with your own Chinese character trade mark then the Chinese public could come up with their own version. This may adversely reflect on how you want your brand to be portrayed. You should also secure registration for both your English word and Chinese character trade marks. This is because a Chinese character trade mark can prevent registration of your English word trade mark and vice versa, depending on the similarities in meaning and sound. If you are interested, we can discuss ways in which you can translate your trade marks with our tried and trusted Chinese agents. As you know, the United Kingdom (UK) has voted to leave the European Union (EU), although it will be some time before negotiations commence and the exit will not be before 2018. 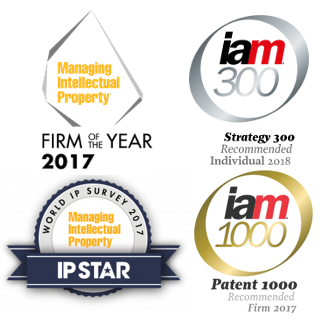 We are reminding our clients that their EU Intellectual Property rights at present remain valid and enforceable in the UK, and it is business as usual. Granting patents in Europe will be unaffected by the future consequences of Brexit as the European Patent Office is not an EU institution. There is much speculation as to the treatment of EU Trade Marks and Registered Community Designs once the UK leaves the EU. The position will be unknown for some time, although there is suggestion that provisions will be made to ensure continuity of rights in the UK. We will provide you with an update once a more substantive position is known. Please feel free to get in touch if you are contemplating filing any new trade mark or design applications in the UK or EU, or you would like to discuss this further.